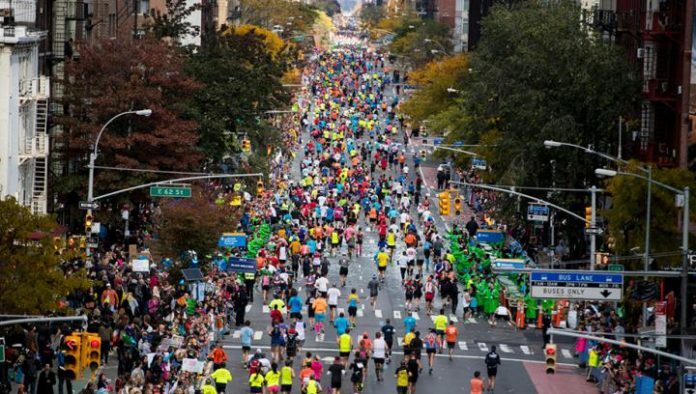 The New York City Marathon has set a record for the most finishers of any marathon worldwide — 52,812. Organizers said Monday the total topped the mark of 51,394 from the 2016 NYC Marathon. The race through the city’s five boroughs Sunday was watched by more than 1 million spectators on a crisp fall day. Lelisa Desisa of Ethiopia and Mary Keitany of Kenya were the men’s and women’s winners. It was Keitany’s fourth victory in New York. Desisa won this race for the first time.